According to a recent MMS Survey, 69% of physicians say the most important factors when making a decision about a new job opportunity are location and, not surprisingly, compensation. After you have prioritized your need for a satisfying medical practice, working with colleagues you respect and living in a community you and your family love, the remaining question is: Will I be fairly compensated? Seeking an answer can be overwhelming. Just google “physician salary” and you get 42.7 million results. Whether you are a new physician emerging from training, or you are considering a change after years in practice, you likely want to know what the compensation for your specialty looks like for your area and across various locations nationwide. It’s a good idea to consult a number of credible sources to understand how multiple variables influence your potential compensation package. Data sources vary from comprehensive reports published (and offered for sale) by healthcare industry associations to free salary calculators that cover a wide cross-section of jobs and professions, including the practice of medicine. Industry insiders, experts and advisors, including experienced physician recruiters, are also valuable resources. Your results will instantly show a competitive market-based scenario that breaks out base salary, benefits, hiring incentives and bonuses. The calculator is unique in its design for use with an offer in hand, or if you are considering relocation and want to see how far your current compensation would stretch in a different state or type of community. 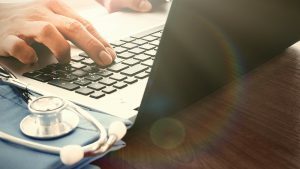 Data has been compiled from salary surveys published by industry leaders including HealtheCareers and Doximity, which draws from self-reported compensation surveys of more than 36,000 physicians. We also have incorporated proprietary data from our own physician placement and search data. Of course, actual compensation will vary depending on additional variables such as skills and qualifications in your specialty, and supply and demand in your chosen location. The information does not constitute specific advice for any candidate nor does it guarantee compensation from any organization. We invite you to explore the enhanced Physician Salary Calculator and Resource Center yourself. For even more personalized consultation, we recommend speaking with one of our knowledgable recruiters.